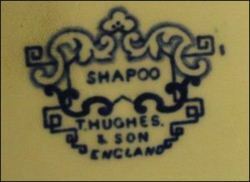 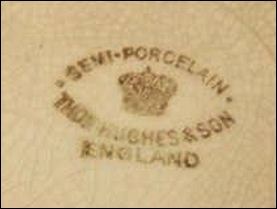 Printed marks c.1860 - 1876.
simpler design and probably earlier in the period. 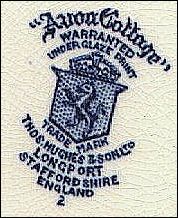 Printed mark c.1881 - 1894. 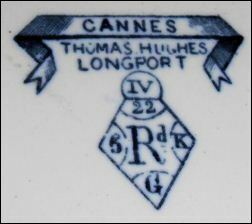 The registration diamond shows that the pattern 'CANNES' was first registered on the 22 Feb 1869. 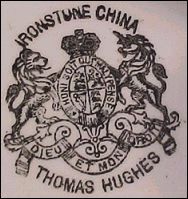 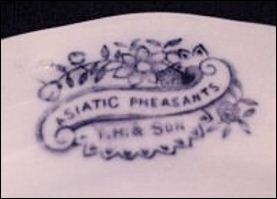 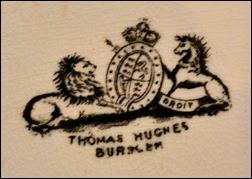 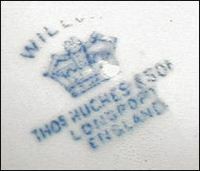 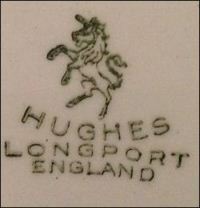 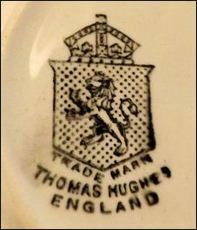 Printed mark c.1860 - 1894. 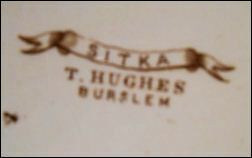 Contained as impressed or printed marks of differing design c.1895 onwards. 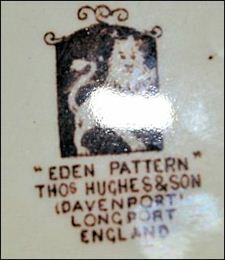 DAVENPORT is the name of the previous owner of the Top Bridge Works at Longport. 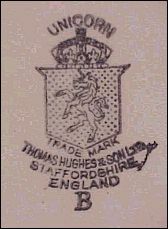 'B' refere to the town BURSLEM - where the factory was.